The Gammabeam™ X200 (GBX200) is among the most versatile research irradiators available today. Suited to a broad spectrum of applications including secondary standards dosimetry, sterile insect programs, and medical or veterinary research, the unit provides your lab with a powerful tool. The Best® Theratronics GBX200 is the latest in a long line of irradiators that researchers and clinicians have trusted and depended on for decades. Its expert design is based on more than 45 years of irradiator experience and backed by an industry-leading commitment to safety, quality, and customer support. 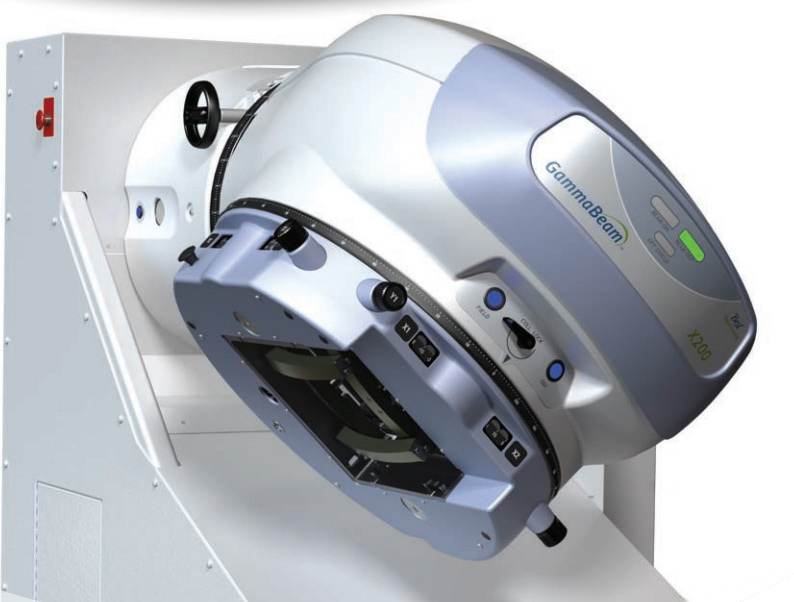 The GBX200 has a Cobalt-60 capacity of 434 TBq (11,725 Ci) and can deliver a dose rate of 800 cGy/min at 50 centimeters from the source at maximum field size. With easy-to-use controls and safety features that meet or exceed all applicable regulations, the unit is a valuable tool for those requiring a dry storage panoramic field irradiator.